Which Placement Counselor has been assigned to your family? On a scale of 1-10 with 10 being the best please rate the following services. What could be improved to make it better? What was done that made him/her stand out to be excellent? What could your counselor improve on that would make him/her more professional? What could your counselor improve on that would make him/her more sensitive and understanding? What was done that made your assessment stand out to be excellent? How quickly did you start receiving profiles to review? What time expectation was not met? What methods of contact did you find to be the most effective in reaching your Placement Counselor? What can your counselor do to improve the ease of being accessible to you? What about the candidates' professionalism impressed you most? What aspects of the candidates' personality traits or experience did you find not as professional as expected? What about the candidates' sensitivity impressed you most? What aspects of the candidates' personality traits or experience did you find not as sensitive as expected? What made the ease of interviewing candidates most impressive? When the counselor asked for your schedule availability for interviews did he/she follow the guidelines regarding time that you provided? Please explain what your counselor could have done to improve on the ease of interviewing qualified candidates. Did you find that your interviews were started promptly as scheduled? Do you feel the tardiness was because of a lack of professionalism or the directions given by the Placement Counselor to the candidate to come to your home? Did you feel the candidate being offered the position had a clear understanding on the job description and the salary and benefits being offered? What could your counselor have done to make the official offer more effective and clear? What impressed you most regarding the Official Profile of the Nanny you hired? What could your counselor have done to make the Official Profile more organized? If not provided in a timely manner, please tell us how long you waited to receive the official copies and what you were told would be the anticipated time frame regarding obtaining this information. What impressed you most regarding the follow up provided by ABC Nanny Source? 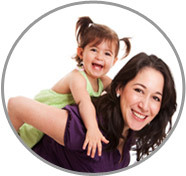 What could your counselor have done to make sure you were satisfied after your Nanny began working for you? Can ABC Nanny Source use the information and comments you provided in this survey as part of our “Testimonials” section on our website along with providing your first name and the area you live? Thank You for Taking the Time to Submit our Customer Satisfaction Survey - your comments and feelings will be utilized to allow us to provide the best service possible to our current and future clients!